Mariposa's Tales MARIPOSA'S TALES: Happy Easter!!! Time flies so fast and it's a beautiful Monday once again! These are what we partly prepare...well at least what Yummy and I did. And here is a glimpse of the table...without the food. In the evening, we had post Easter dinner...something like with some friends...and well, I'm a sucker for table setting so here!!! And these are the things that got my busy the whole weekend!!! Of course all these won't be possible without the help of Yummy (aka I.T. Guy)! So there, you had my EGGS for MANIC MONDAY! And as you all know I'm fond of doing all my Monday activity in one post so I present to you this week's FUN Monday! This is the ABC of some cute (weird) facts about Mariposa! What can I do I'm a sucker for TMI....! I love Butterflies so much that most of the time I think I am one! Coffee to me is more than just a drink. Elizabeth Arden Green Tea is one of my favorite perfumes! The world of Feng Shui fascinates me!!! When I'm bored, I Google anything/ everything that comes to my mind. 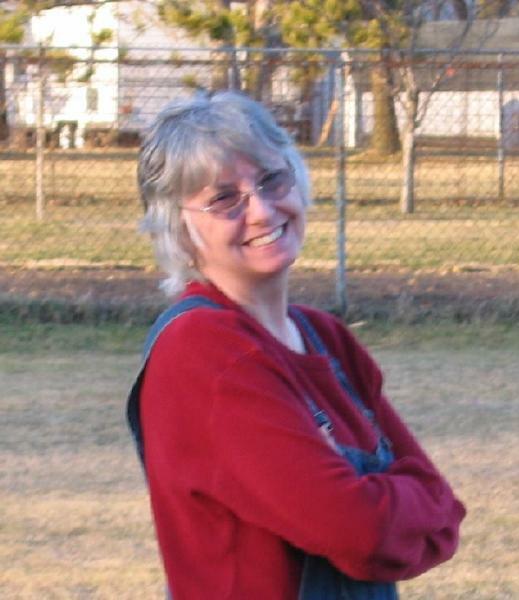 HNT allows me to do one thing I love ~ self-portrait! I want to learn more about Kabbalah. How I want to keep Mariposa's Tales forever! I grow up with Old music! I collect Quotations and anything quotable! I'm slowly appreciating the benefit of UV protection. I take lots of Vitamins E and B! Wordless Wednesday brings back my interest in photography. I used to dream of being part of X-Men. Yummy (aka I.T. Guy) takes away all my fears and worries! Zhang Zi Yi will play my character if a movie about me is made. So that's my ABC...and to complete it...here is my MUSIC Monday! Mo for EGG, I mean Manic Monday! Queen Swampy for FUN Monday! Your Easter decoration is just lovely I like the little candle holders ! but I also hope you hadn't all this food at 9 am ! For a breakfast it's a lot but it looks really yummy ! You didn't put your alphabet in order either, hehe ! Yup, yup for my alphabet! Great post. 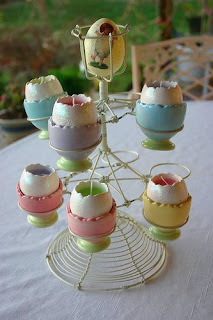 I love the eggcellent votive candle holders. I love your table settings! And the food just looks yummy! Happy MM! Wow, what a BEAUTIFUL Easter spread!!!! Ours didn't look anywhere like that, but we had a great time. This is some cool stuff, nice table. Thank you so much for sharing your Easter traditions - your settings, crafts, etc., were just beautiful! And fun Monday was really - FUN. And I so agree about coffee! Your Easter decorations are so cute! Love 'em!! And you list is great...a fun way to learn more about you! That is ONE gorgeous table ! I love beautifully-set tables. I just wish I was as crafty as you. Eggscellent ! So colorful and bright. Lurv Lurv Lurv that list. I think we might be sistahs. Too many things you listed that I totally, like totally, relate to. Thanks for playing the game(s). Have a wonderful week. Excuse me while I go take a tea bath with my pearls on. 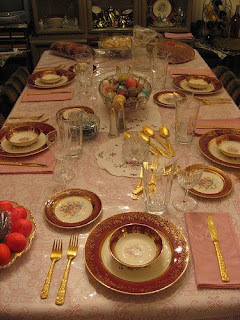 I'm here for Fun Monday, but NICE pictures of your table settings and eggs-cellent adventures (ok...lame, lol). Your answer to Swampy's challenge was educational about "all things Mariposa"...that's nice when a FM helps you get to know the blogger a bit better. 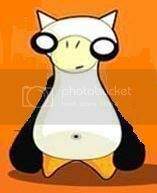 AND...I learned IT Guy and you are a pair (I wasn't able to do his FM, so I missed this before now). OOooo, and based on your ABCs, you'll like next week's theme for FM...which reminds me, I've got to write about it for tomorrow! From A-Z I found you fascination. Dinner looked great, and you set a lovely table. Did you stop bathing?... or just stop bathing with Tea. bwaa ha ha ha. Oh... I want to be an X-man too. Yesterday in the car we (adults!) were talking about our super powers. I want to be able to split into two people. I could get so much more done. Beautiful, wish you a belated Easter, Sure you had fun i guess, did you get drunk? Lent is over innit? I love the gorgeous pics. I also love how you wrote your list with those great colors. I thought about doing that, but I'm too lazy. Good job! That was quite a post! 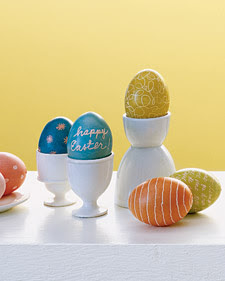 LOVE your egg-crafts and candles! That was quite an amazing table layout, too! I love the looks of your blog. You appear to have a very interesting life--very social. I love your Easter food and decor! Very nice indeed. Wow, you are so talented, those eggs are just gorgeous. And you and yummy IT Guy know how to breakfast, it looked amazing. I love all your facts, I really like that Green Tea perfume too. Just lovely! Your table, food and handicrafts, you did a beautiful job. Im with you on the coffee thing....its actually a lifeline...I could not possibly live without it, as I found out this morning when someone handed me a Latte instead of a real coffee! great fun monday list....I love it! I can't believe how beautiful your Easter was. The egg candles were just so awesome. Way too cool for words! I was here for FM, but I am wowed by your Easter decorations. 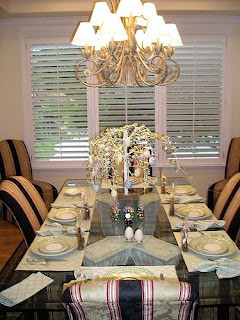 You clearly had a wonderful Easter, your table is beautiful. I particularly love your egg decorations, those candles are so sweet. Great alphabet list, and cute little video. Scoot over! I'm heading over! I'll help you do the dishes and clean up afterwards. Just save me some food and I'm there! They said Zed instead of Z. That's English English. Americans pronounce it "zee." What an exquisite layout and selection of food. I hope you had a wonderful and blessed Easter Mariposa! Those egg candles are freaking cute! And the food for Easter looks amazing- very impressive!